California's Palm Springs was a hotbed for movie stars, big money and high crime, making it a great town to be a TV news reporter and police detective in the '80s and '90s. There, we see the explosive Sonny Bono rise to mayor before he becomes a US Congressman, we meet Frank Sinatra and his wife at exclusive dinner parties, and journey with a hard-nosed cast of police and newsroom personalities mingling among the stars while trying to solve a pyramid scheme and murders. Evans provides a candid insider's view of newsroom operations and scheming TV personalities who will do anything to get ahead. 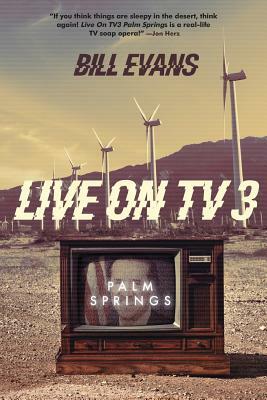 Palm Springs is the prequel to Evan's first novel, Murder at Broadcast Park. Learn how Stewart, Lisa, and the ever unsuspecting Dugan built a broadcasting empire.